​Hi and thank you for taking time to visit HumanityCenter4Change (HC4C). As the Executive Director and Certified Youth Mental Health First Aid Instructor, I'm thrilled to welcome you and all participants to our training agency. HC4C in partnership with the National Council For Behavioral Health ensures that every participant will receive essential materials and current data relevant to your successful course completion. Our purpose coincides with a global vision to bring society into knowledge with an understanding that mental illness is a manageable disorder and not a criminal offense. Inasmuch, physical restraint, aggressive action, violence, or deadly force, are the least of actions applicable to resolve mental illness conflicts. In the Youth Mental Health First Aid training course, you and participants will learn that youth mental illnesses are a distinct type of challenge, unlike adults, and must be confronted differently. HC4C will train you and all participants to identify mental illnesses in youth behavior. We will impart valuable tools to deconstruct stigmas of mental illnesses. We will accomplish this through unambiguous training, illuminating the effects of mental illness, yet imparting a clear understanding of youth mental illness. Comprehending the needs of youth mental illness is vital to their recovery and make no mistake, our teenagers and adolescents can recover from these adverse affects. Humanity Center4Change Training Agency and the National Council For Behavioral Health believes that if we can train enough of our citizens, then there will be more effective support available for our youth at risk. 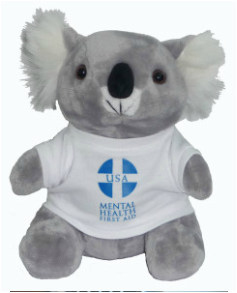 Moreover, as the number of certified Youth Mental Health First Aid Responder increases; the number of youth at risk decreases. In other words, your achievement as a certified Youth Mental Health First Aid Responder saves lives. Thank you for joining the Youth Mental Health First Aid Training. I promise you a most enjoyable, enlightening, and insightful experience you won't forget!